For all 365 days of the year, the book gives guidance or stimulus, comfort or admonition, sustenance or insight to the spiritual aspirant. For all 365 days of the year, the book gives guidance or stimulus, comfort or admonition, sustenance or insight to the spiritual aspirant. 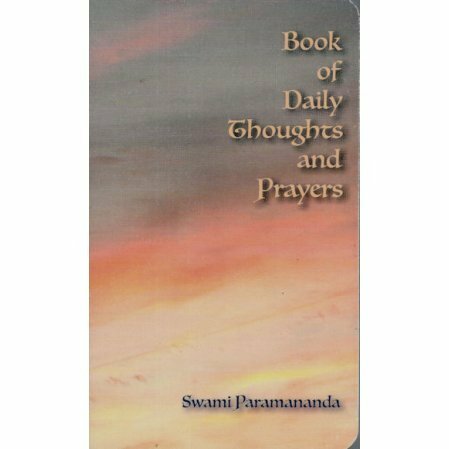 Each page contains a salient thought, a poetic verse, a lesson, then finally a prayer. In print for over 70 years. This newly updated sixth edition is printed on higher quality paper than the last edition and the typeface is slightly larger than previously. Printed with a new cover, the book is an even greater pleasure and inspiration to read. I read it to my wife every night. I read it to my wife every night. She seems to thrive on its content. This is something I read every morning - it has powerful spirituality, and encourages conscious contact with a higher power through prayer and meditation. The verses, prayers, and meditations remind us continually that we are part of something much greater than ourselves, which is eternal. It is a wonderful gift for anyone seeking to improve his/her spiritual condition. I highly recommend it. I was so happy when I got this little prayer book. Knowing I have it sitting here where I can pick it up any time and read words that are a balm to the soul. The prayers are so beautiful. Also guidance on how you can get the most out of this little prayer book. I liked the organization of "Salient Thought for the Day", "Lines to Memorize"," Lesson" and "Prayer and the theme for each month. It is easy to read and many of the lines are very inspiring and beautiful such as "Thy voice of love hath melted my heart into sweet harmony...". The themes are timeless and universal. The book is small and compact enough to carry with you when you travel.